Even if the passion for poetry and art was ancient, she starts recently on producing intimate works. Through the 2007 she participated to many literary-artistic competitions and her “Aurora” won the International Challenge “Premio Artistico Letterario sulla Poetica del Carducci”, Società Dante Alighieri, (Second Place). 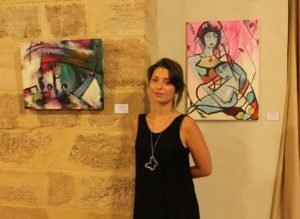 On 2009 she started working on canvas and during the 2014 had her first “ex tempore” painting competition in which she won the First Place (Oriental Express, Marzamemi). 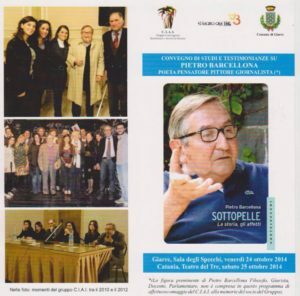 From 2013 to 2015 she enjoyed different events organized by Prova D’Autore Publisher, Sicilia2inGocce and Terrem8to. 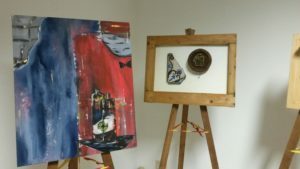 Since 2017 her works are visible on Pitturiamo. During the 2018 Women Who Draw has also published the artist. Recently, she’s working with digital graphics: creating content, logos, social posts, info-graphics… for public and private customers. 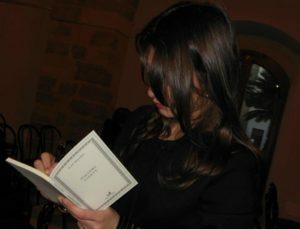 Ilary Tiralongo’s poetry experience began on 2013 with the book “Malerba a Gocce”, published by Prova D’Autore and introduced (also) by the jurist-philosopher Pietro Barcellona. This event allowed the participation of the young author on 5 collective books: “Shakespeare, Sonetti 1-48”, “Catania Giorno e notte”, “La Mastunicola”, “Baroni, Bombe e Balilla – nelle città delle cento campane”, “Su Pietro Barcellona, ovvero riverberi del meno”. She also wrote for Hesperides (column on the literary magazine Lunarionuovo), Ebdomadario and InfoOggi.it, as free-lance articulist. 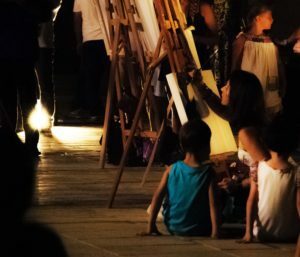 Other works are available on GoylìGoylà.